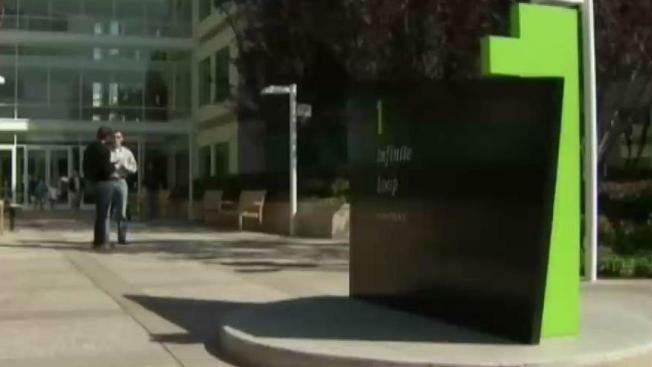 For the second time in six months, the FBI is accusing a Chinese national working for Apple of attempting to steal trade secrets related to the company’s secret autonomous vehicle program, NBC Bay Area’s Investigative Unit learned Tuesday. Apple began investigating Jizhong Chen when another employee reported seeing the hardware developer engineer taking photographs in a sensitive work space, according to a federal criminal complaint unsealed this week. Chen, according to the complaint, allowed Apple Global Security employees to search his personal computer, where they found thousands of files containing Apple’s intellectual property, including manuals, schematics, and diagrams. Security personnel also found on the computer about a hundred photographs taken inside an Apple building. Apple learned Chen recently applied for a job at a China-based autonomous vehicle company that is a direct competitor of Apple’s project, according to the complaint. A photo found on Chen’s computer, which Apple provided to the FBI, showed an assembly drawing of an Apple-designed wiring harness for an autonomous vehicle. Chen allegedly told the company he backed up his work on his personal device as an "insurance policy" because he was placed on Apple's Performance Improvement Plan (PIP) in December 2018, CNBC reported. But Apple said the confidential information was found prior to his placement on PIP. Chen was arrested just one day before he was scheduled to fly to China, according to the complaint. His lawyer and a spokesperson from the Northern District of California U.S. Attorney’s Office declined to comment, CNBC said. Last July, former Apple employee Xiaolang Zhang was arrested by federal agents for allegedly stealing proprietary information related to the company’s autonomous vehicle project. Zhang was accused of trying to bring Apple’s trade secrets to China-based XMotors. "Apple takes confidentiality and the protection of our IP very seriously," the company said in a statement Tuesday. "We are working with authorities on this matter and are referring all questions to the FBI." Last week, CNBC reported that Apple dismissed more than 200 employees from its secretive autonomus vehicle group, Project Titan. NBC Bay Area will update the story as it learns more.